Kentucky’s Mammoth Cave is the world’s largest known cave system with more than 400 miles explored and more being found every year. The park is located in the hilly Green River valley just 1.5 hours south of Louisville and 45 minutes northeast of Bowling Green. As the weather turns colder, it’s nice to know that the temperature inside Mammoth Cave remains a near-constant 54 degrees, making the park a year-round destination. A winter visit inside the cavern would be no different than a summer visit, with the exception of much smaller crowds. Obviously the main attraction is the cave tours and there are many to choose from, exploring different sections or historical aspects of the cave complex. All cave tours are led by a park ranger who stops throughout to give informational talks. When we visited, we opted for the New Entrance (now renamed Domes and Dripstones) and Violet City Lantern tours. Highlights of the New Entrance tour were the Grand Ave and Frozen Niagara sections of the cave, and a moment of total darkness during the ranger talk. The Violet City Lantern will appeal to visitors who want a historical experience. The park ranger impersonates a variety of characters from the cave’s past as you explore by oil lantern light. The most convenient place to stay is the Mammoth Cave Hotel, the only in-park lodging option other than camping. For traditional hotel accommodations the Heritage Trail Rooms will do, although we found the Hotel Cottages provided a more unique experience – the solitude of a cabin in the woods with the convenience of being walking-distance from the visitor center and hotel restaurant. Additional eating options can be found in nearby Cave City. Note: the counties surrounding the park are “dry” so establishments do not sell any alcohol. Plan ahead and bring your own for those night caps! In addition to the cave itself, there are nearly 84 miles of trails in the park. Make sure to allow time for some above-ground exploration. 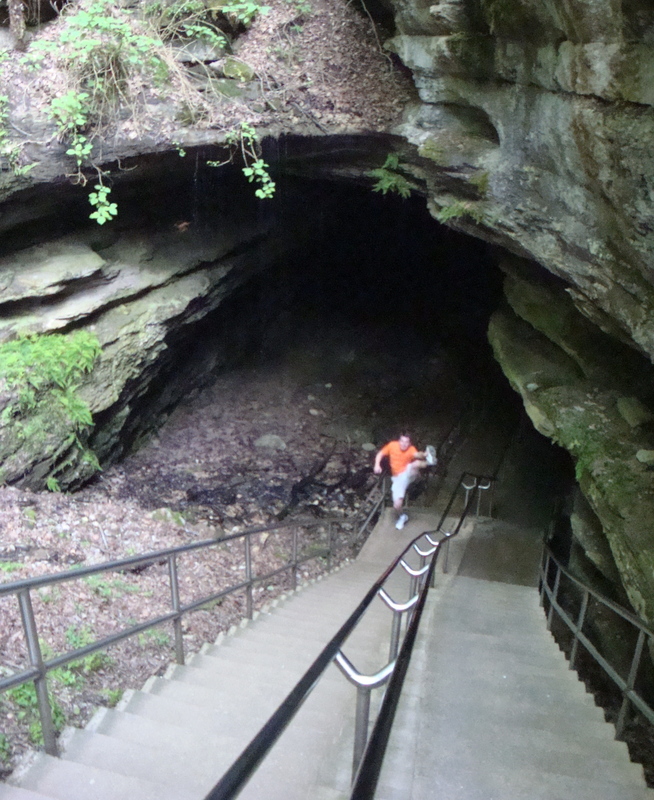 This entry was posted in Destinations, High Kick Photos and tagged High Kick, Longest cave in the world, Mammoth Cave, Mammoth Cave Road Trip, national parks. Bookmark the permalink.